This weekend a number of friends on Facebook linked a video that was making the rounds of a person presumed to be in cardiac arrest in a car in front of a bus stop. This scene provides with a number of important lessons. First you see an SUV in the middle of the road with people yelling at the driver asking him if he is okay. 9-1-1 is called and somebody starts doing chest compressions on the person before removing him from the car and placing him in the road. CPR is continued until EMS arrives. At the end of the video you see the driver being wheeled to the ambulance sitting up appearing to be conscious on the stretcher. The video itself spans about seven minutes and I encourage everyone to take the time to watch the entire thing from beginning to end. Some content might be difficult to watch and there is some language that might be considered offensive used by those watching the scene unfold. Regardless of that though, there are a few lessons that I think both the EMS community and the general public can learn from this. There are still people out there who are willing to help – In a world dominated by social media, Twitter and cell phones people seem to either want to record or just call for help and make a potential emergency somebody else’s problem. Seeing this video is reassurance that there are still people out there who will get their hands dirty to benefit another person. They saw somebody in distress and they acted. They realized that doing something is better than doing nothing. When you call 9-1-1 help is on the way almost immediately – Confusion is common. People misidentify locations in fact, I can tell you that happened here. Once a location is confirmed help is on the way but for dispatchers that is not where their job ends. If there is one place that a dispatcher’s role in providing prearrival instructions can save a life it is in the case of a patient in cardiac arrest. The bystanders can insist that the caller “just tell them to come!” until they are blue in the face (pun intended) but the information that they give over the phone, and the helpful tips that they receive from the dispatcher can save a life. 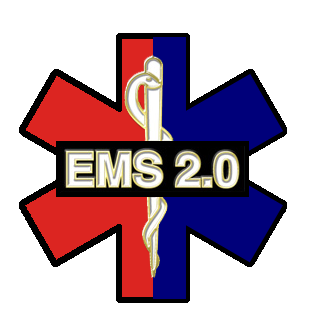 Compression only CPR needs more publicity – This one is more directed at the EMS community. Ask yourself, “How much public education does my service do when it comes to spreading the word about hands only CPR?” A person does not need a card in their back pocket or a recertification class every couple years. They just need the basic knowledge that if somebody does not have signs of life they should push hard and fast in the center of a person’s chest until help arrives, the patient shows signs of life or they are no longer physically able to do so. If you go up to the four minute mark, somebody says “We are going to have to put air into him.” Two people in the crowd reply that they are not going to do it. Whether they have taken a CPR class in their lives or they have not, people still believe that mouth to mouth is an important piece of doing CPR. It is not. We know that and now we have to make sure that they know that. Give every patient the best possible chance for survival – This is more a tip for all of the providers out there and as education expands on cardiac arrest care it is a saying that needs to become our mantra. If you walk into a room and see a viable patient who you don’t think deserves 110% of you as you work that cardiac arrest then why are you here? Why are you doing this job? Why are you putting that uniform on every day? Every patient deserves the best chance that we give them and every cardiac arrest that we work with the driven goal of achieving ROSC improves the chances for the next cardiac arrest patient that we are called to regardless of the outcome of this run. All in all, these bystanders did a great job and regardless of the cause of this person’s emergency and the actual severity that you or I as paramedics and EMTs would have determined. Our job is not to hold the general public to the same standard that we, as trained professionals, are held to. Our job is to make sure that they are prepared as possible to deal with such an emergency if they happen to be unfortunate enough to encounter it. That is the lost piece of EMS. They call, we respond, we render care, and we transport. That is the polite way of saying, “you call, we haul, that’s all.” That is providing “ambulance services.” Providing Emergency Medical Services needs to involve a community education piece and that community education needs to involve the concept of hands only CPR. Let’s not worry about putting cards in people’s pockets. Let’s instead worry about convincing people that mouth to mouth does not matter. Let’s worry about getting people on the chest. Thank you, again, to this group of bystanders. I hope your friends and neighbors can learn from your example.